High resistance dual coil head smoktech TF-T2 for smok tfv4 tank and smoktech tfv4 mini use. 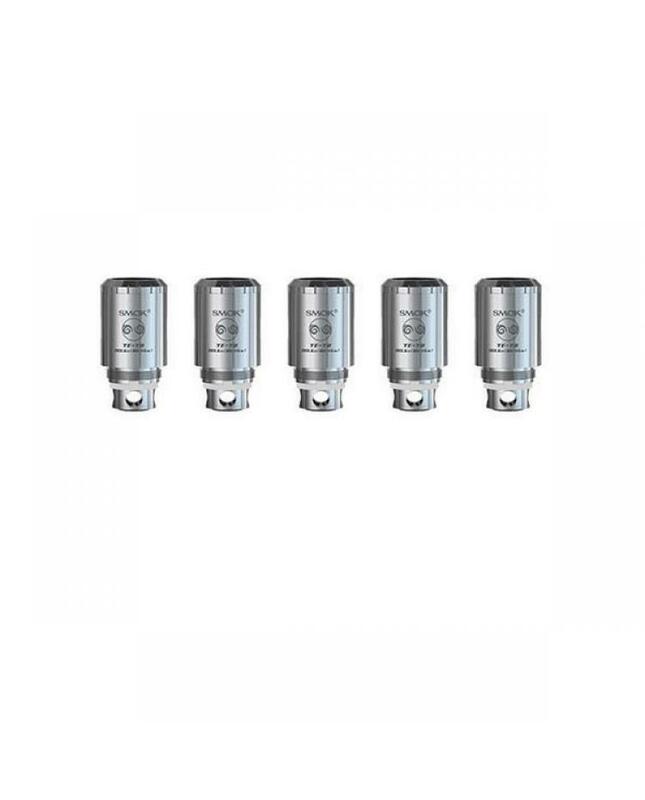 patented higher resistance coil head and separate chamber design, improve airflow production, heat insulation, constructed with superior stainless steel encasing the base of heating wire and organic cotton, two additional auxiliary air holes for smooth airflow and further cooling vapor production. TF T2 resistance is 1.5ohm, recommend work at 20w to 45w. 5pcs per pack.